“Versions” are simply the translations of the New Testament into other languages. The New Testament writers originally wrote their books and epistles in the Greek language whereas the versions are translations of their writings into other languages. Naturally, non-Greek speaking Christians wanted the text of the New Testament in their own local languages and so the New Testament began to be translated into other languages sometime in the mid to late second century. An important point to remember is that no matter how many thousands of translations exist, it remains that they are in a different language from the original language (Greek) of the New Testament, thus their use and value will be limited. They Say: “Your Bible Has Not Been Corrupted”. Really? 5. Do the changes and corruptions of manuscripts affect doctrine? 6. “For God so loved the world”? 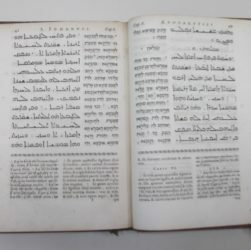 The “Old Syriac” manuscripts of the Four Gospels known as the Sinaitic Palimpsest, discovered by Mrs. Agnes Lewis in the Covenant of St. Catherine on Mount Sinai in 1892, unfortunately was forged by the Monks, deliberately, before it was sold to Mrs. Lewis and her companions. 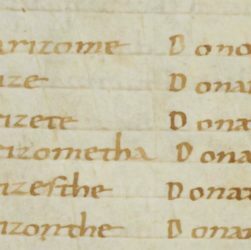 They made a hole in the date of the manuscript, thus apparently increasing its age by 900 years. The work actually was finished in 1599 A.D. The English scholars who examined it first, placed its date as of 697 A.D. Then, not being sure, they made a second inspection, and assigned to it a later date, at 778 A.D. Dr. Burkitt (then a young student), at the time of its discovery, thought that the hole in the date was natural, that is, in the skin when dated. He failed to realize that no responsible scribe would date a manuscript near a hole in such a way as to leave the reader in doubt as to the exact date. We will take the most popular Bibles such as the King James Version (KJV), the Revised Standard Version (RSV), the New International Version (NIV), the Good News Bible (GNB), the Living Bible Version (LBV) as well as the Christian Community Bible (CCB) and contrast the same verses within these Bibles. I have been reading with interest the last few exchanges regarding the reading of Jeremiah 8:8 — “How can you say; ‘We are wise, and the Law of the Lord is with us’? But, behold, the false pen of the scribes has made it into a lie'” Note: Whenever you see that term ‘Law of the Lord’, the Hebrew word is Torah To me with all due respect to my Christian brethren, I think what is stated is crystal clear. This will also hope to explain, insha’allah, why Jesus (P) was always so hard on the scribes. I think for those who don’t believe that the Torah was lost to posterity at one time would do good to read the following, insha’allah.